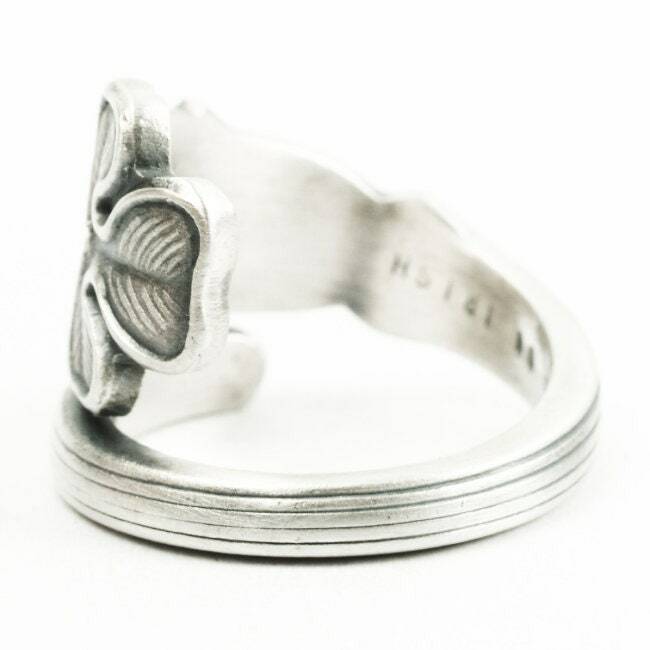 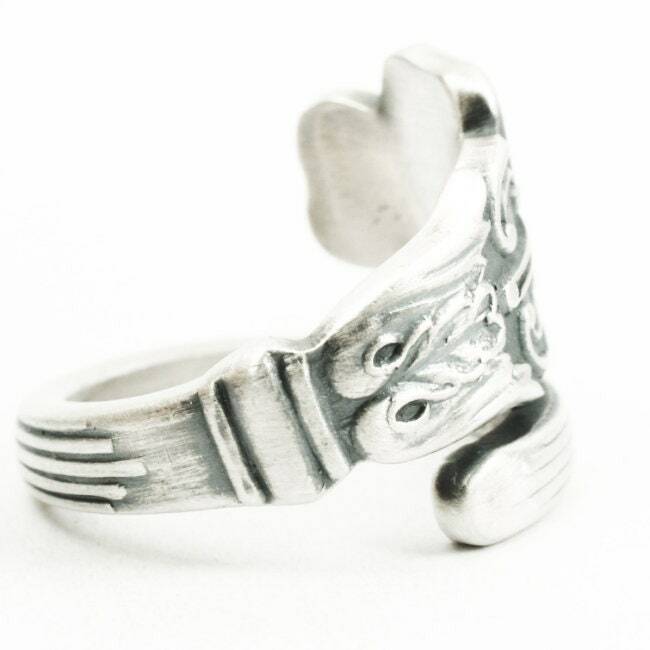 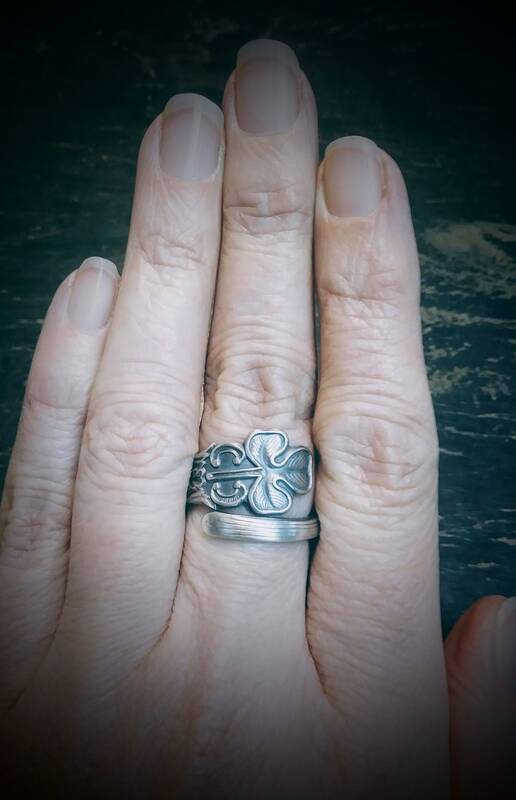 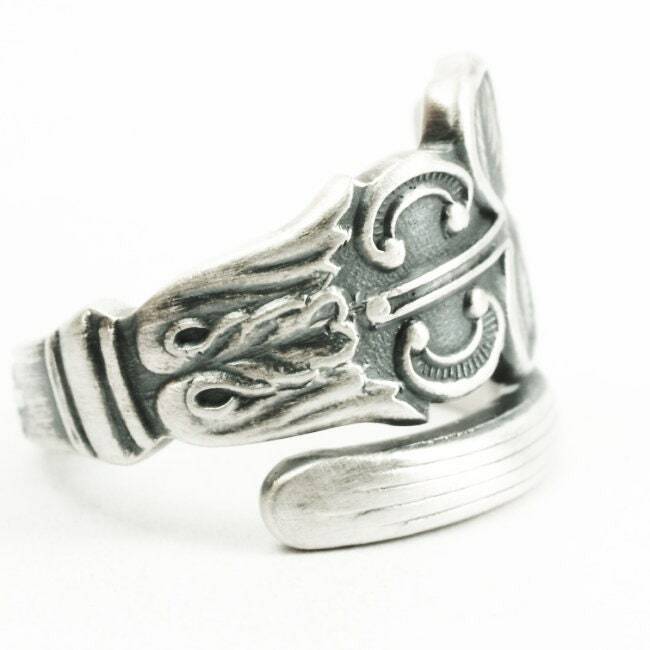 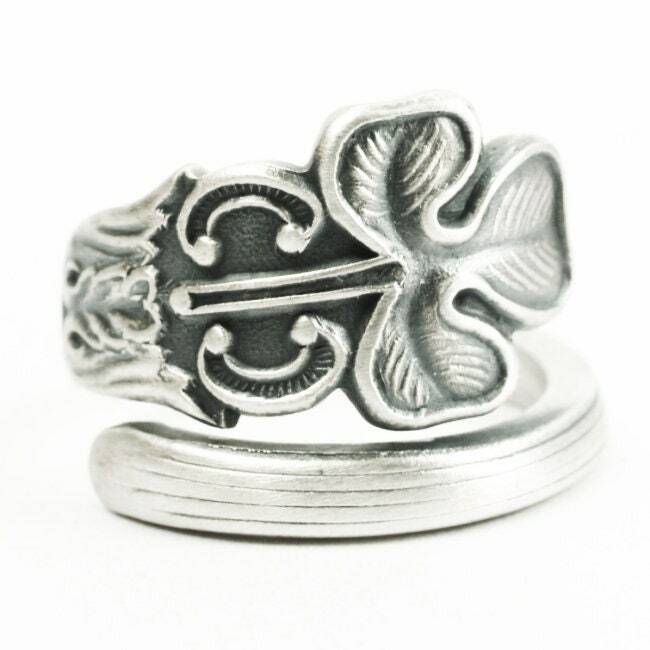 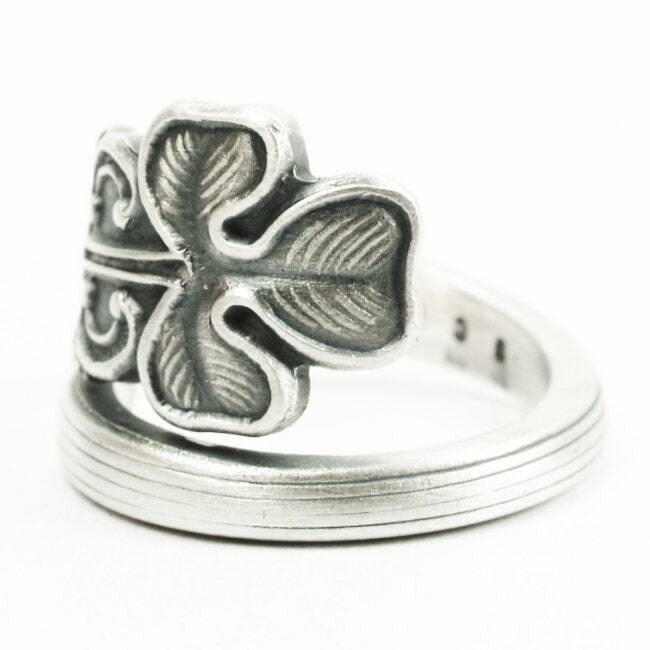 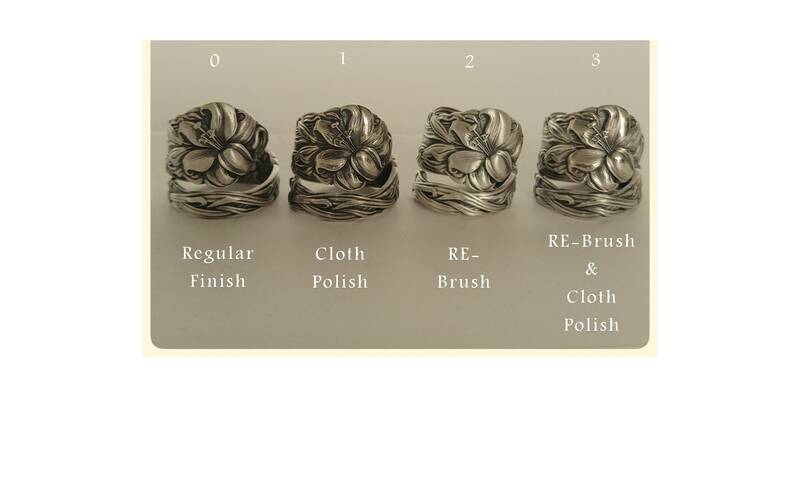 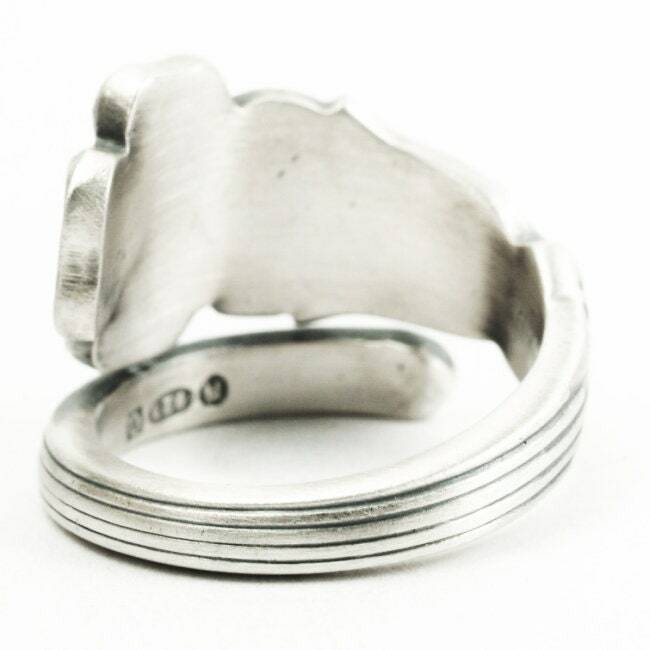 Lovely Slender Art Nouveau 3 Leaf Clover pattern on this antique British sterling silver spoon ring! 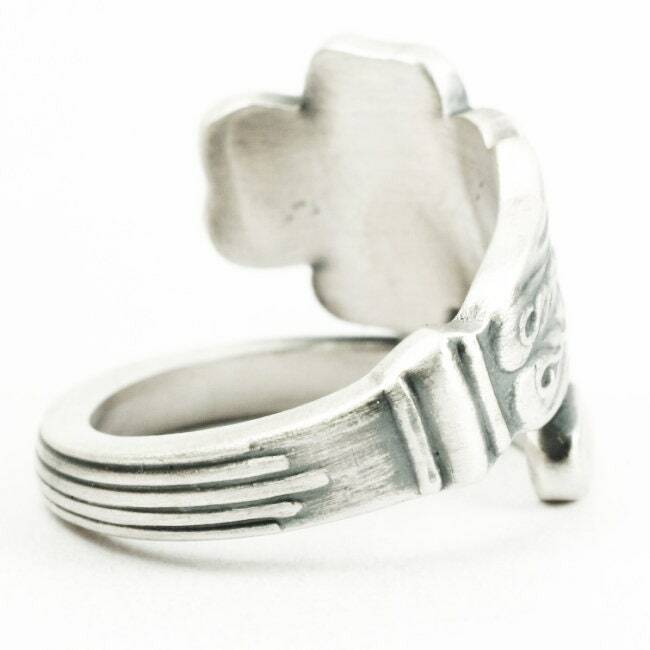 This spoon has a decorated and detailed 3 clover, designed in fantastic high relief detail. 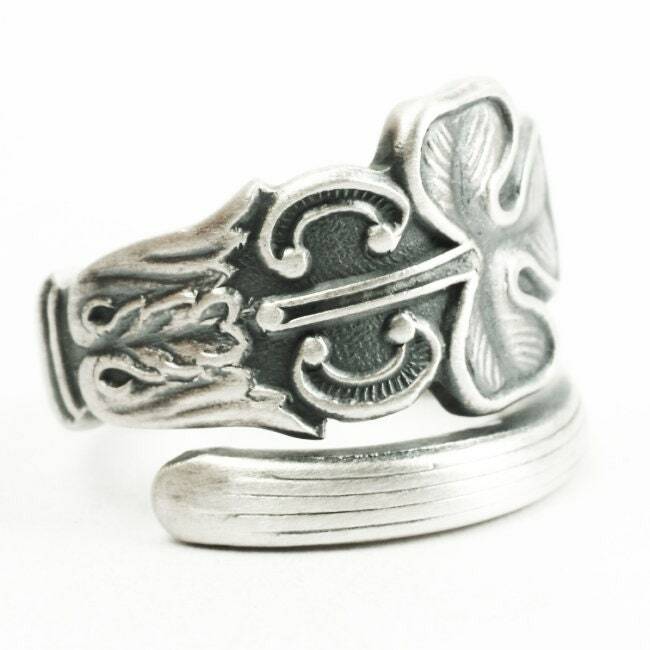 This RARE spoon was made by a British silver manufacturer ca 1810 with a year stamp of an uppercase Q in a box... Definitely one of the oldest designs we have ever had!